After almost dying on Mars, astronaut Liz Anderson returns to Earth, but not to a hero’s welcome. America is in turmoil. The war is over, but the insurgency has just begun. So while life on Mars may have been deadly, at least up there she knew who the enemy was. Along with her, Anderson has brought the remnants of the artificial intelligence that waged war on two planets. Buried somewhere deep within the cold electronic circuits lies the last vestiges of her dead partner, Jianyu. Liz is torn, unsure whether he’s somehow still alive in electronic form or if this is just a ploy by an adversary who will go to any length to win. Heartbroken and treated with suspicion, she finds herself caught up in the guerrilla war being waged on Earth, wondering if the AI threat is truly gone, or if it has only just begun. Peter Cawdron is the author of Anomaly, Little Green Men, and Feedback, as well as more than twenty other novels, novellas, and short stories, including Retrograde (also from John Joseph Adams Books). He lives in Brisbane, Australia. It’s good to consider the AI possibilities ahead. 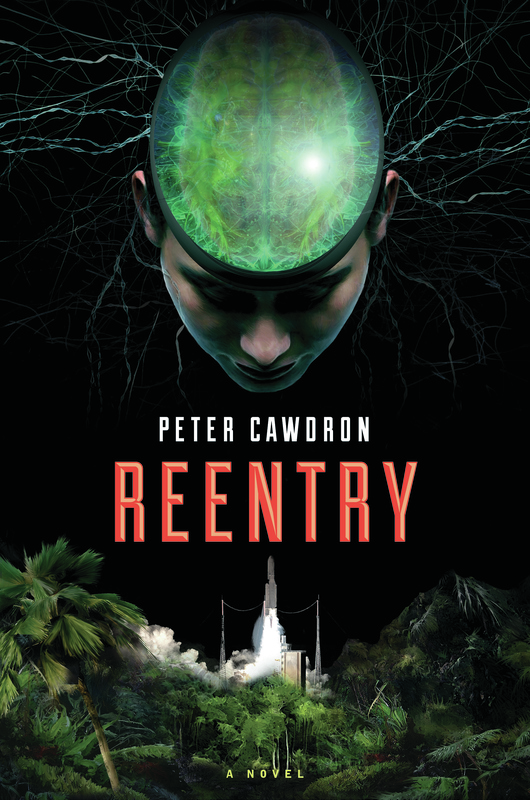 Peter Cawdron’s Reentry is a marvelous read but also an intriguing scenario for what might go on within the superintelligences. Gripping, cerebral […] with scientific detail that will please fans of hard SF, Cawdron raises interesting questions about the nature of consciousness. The story sets itself apart from tales that revel in dystopia by imagining what comes after, as humans and AIs learn to collaborate. For lovers of Andy Weir’s The Martian, here’s a true hard science-fiction tale set on the red planet—a terrific blend of high tech and high tension, of science and suspense, of character and crisis. Science fiction as it should be. Retrograde combines realistic characters with depictions of Mars as our explorers will one day find it in a powerful story. A must read! Post-apocalyptic disaster meets fractured utopian space exploration in this terrifying tale, which Cawdron (Anomaly) sets in a scientific outpost on Mars. Geologist Liz inhabits one of four subterranean modules built through massive cooperation among earth’s space agencies. Hazy news of a widespread nuclear war back home sends the astronauts into paranoid seclusion. […] Readers craving scientific realism will appreciate the frequent narrative interruptions that provide details on what a Martian colony would actually need, including radiation protection and divisions of labor. This tense cat and mouse game [leads] to satisfying [conclusion].